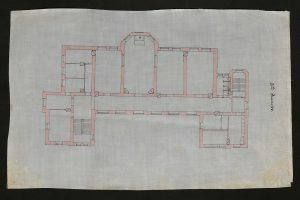 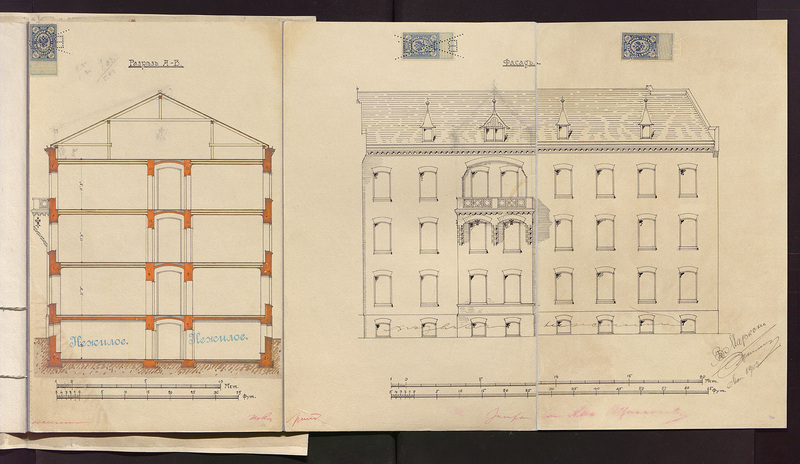 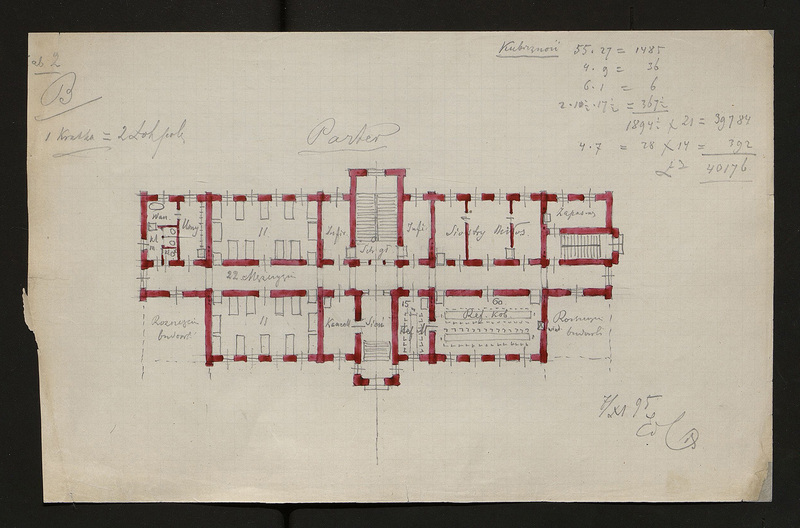 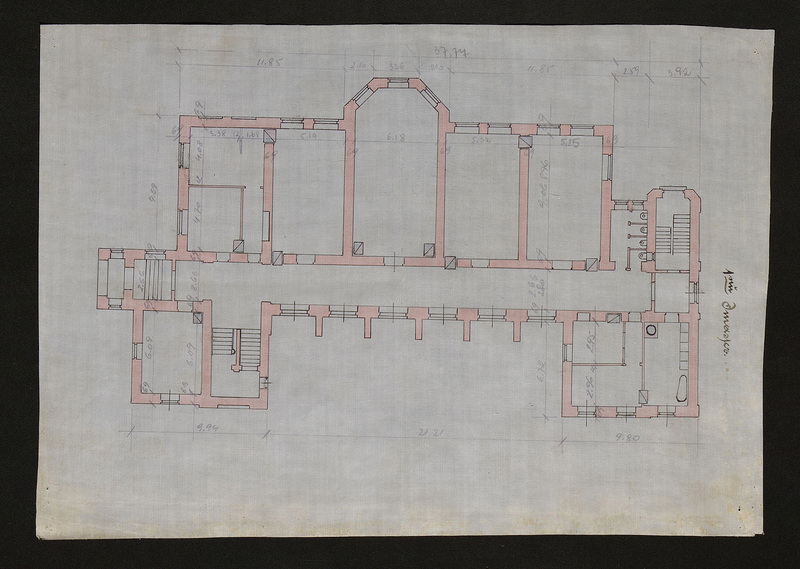 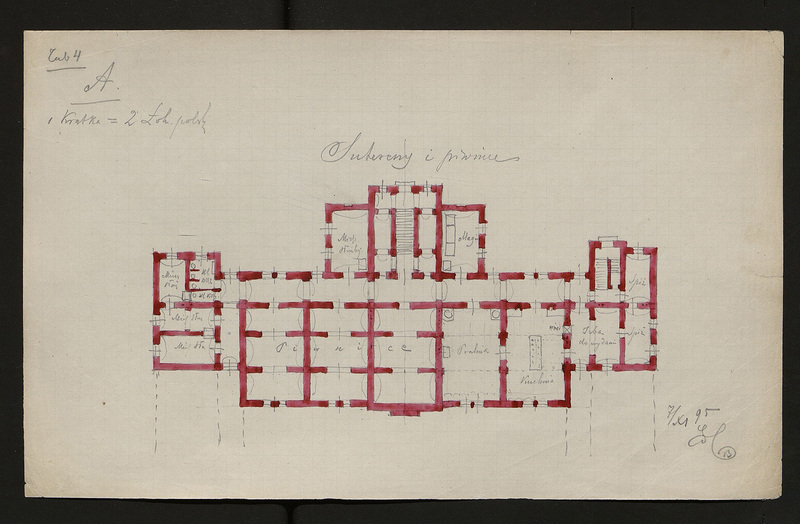 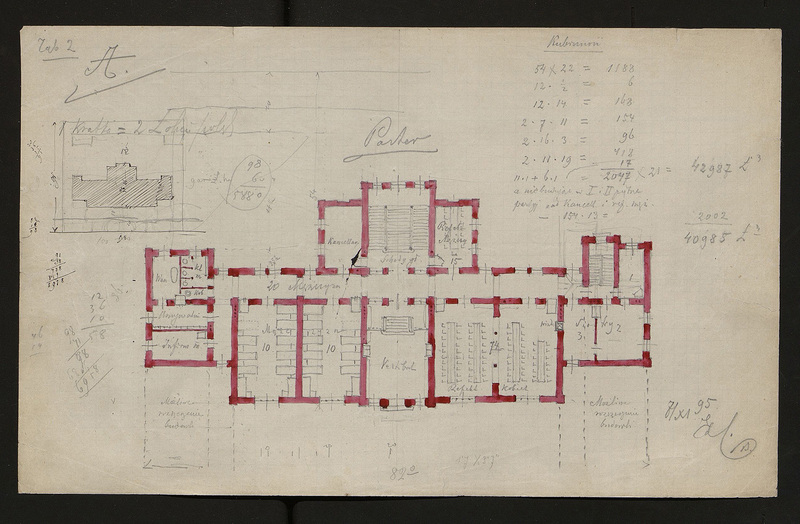 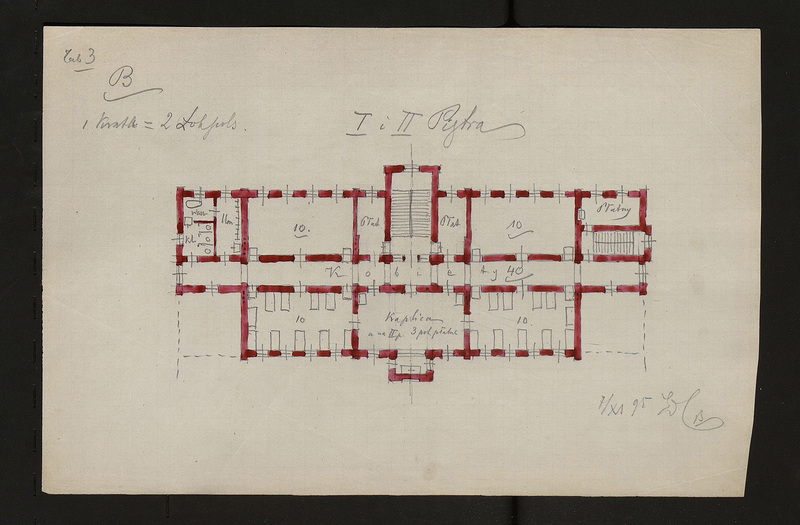 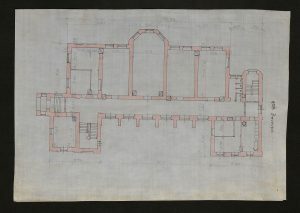 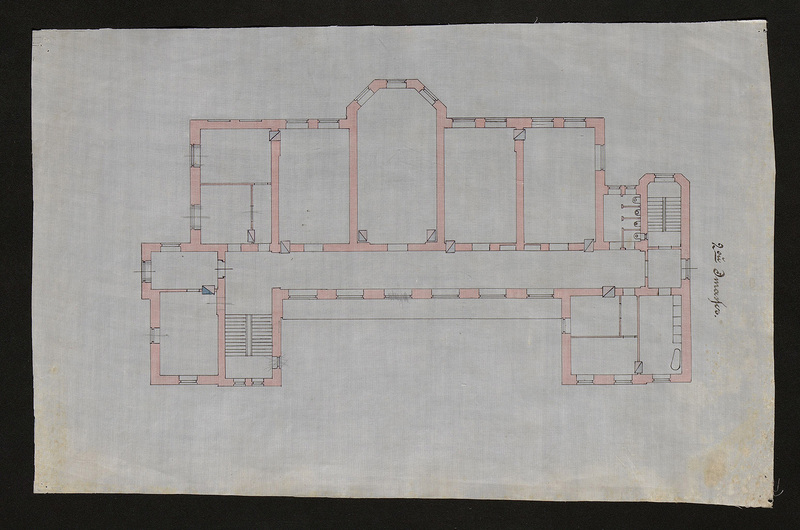 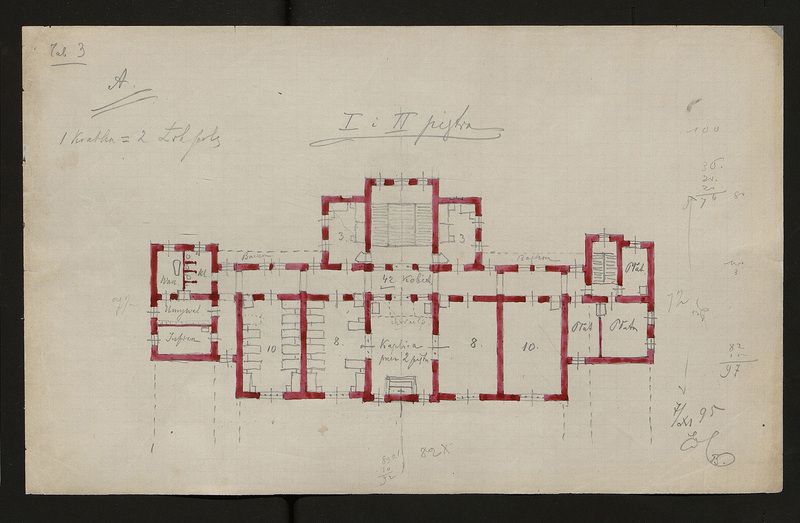 These are two versions of sketches of the Almshouse, 8 sheets and a cover overall. 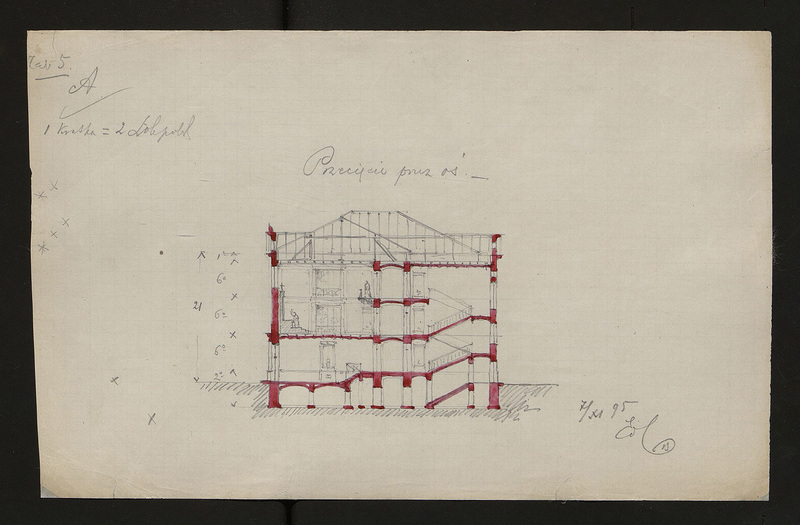 The drawing is colored with watercolor in red, black ink and pencil are used. 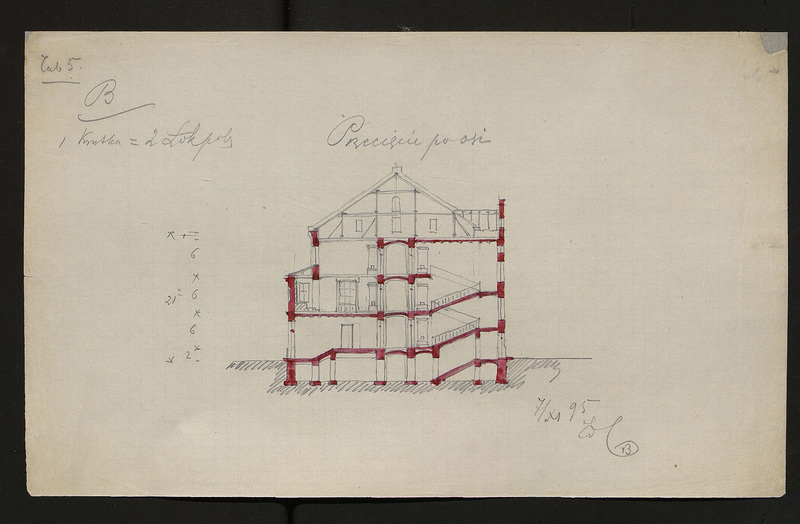 Nine out of ten object survived to this day. 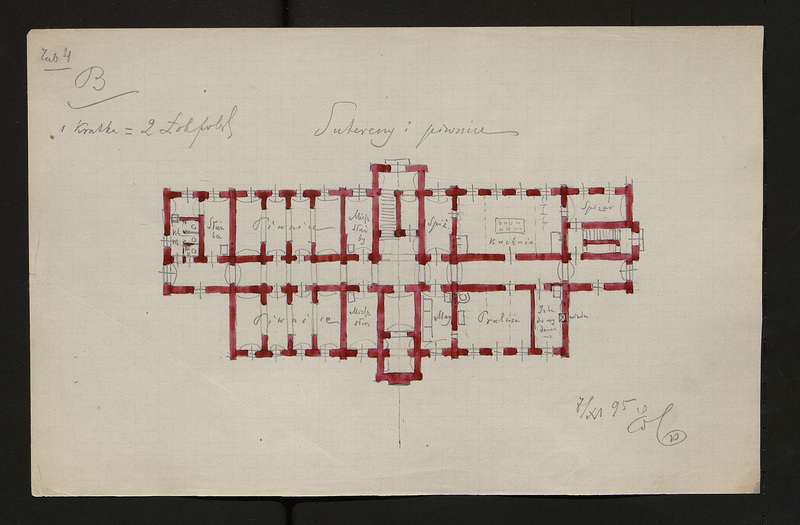 The preserved designs of Władysław Marconi, city of Warsaw senior architect, are certainly the result of compromise between his first proposals and propositions of architect Cichocki Commissioned by the Council of Guardians. 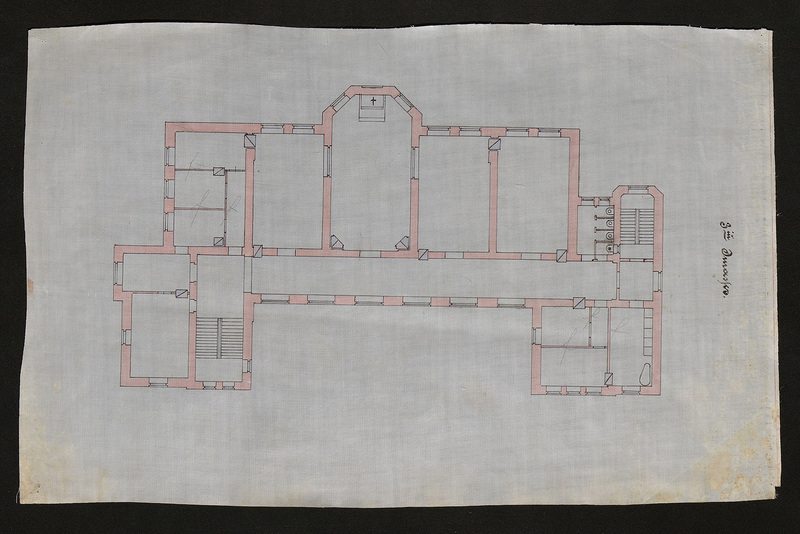 Drawings were made by hand on silk with black ink, copy and drawing pencils. 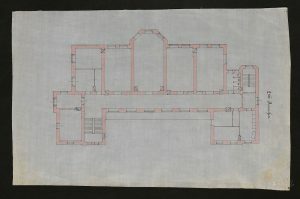 Color was obtained by painting the back with watercolors in red, blue and pink.